Terri Liles Mason is the creative spirit behind the peaceful music that involves a pronounced focus on honoring and celebrating the universal principals of positive feminine living and mother earth. 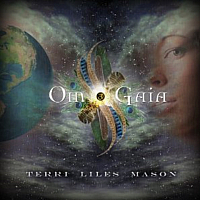 In her first release entitled Om Gaia, Terri Liles Mason puts a reflective focus in expressing oneself in a positive manner to increase self image through music. Teaching in workshops devoted to inner peace and harmony from her home in Connecticut, her expertise and knowledge in this subject is only reinforced from her educational background, which she in turn, instills into Om Gaia. Everything now becomes one, when devoting her expertise and knowledge as a teacher, into positive influential music as composer and performer on her debut album. Terri’s music is creating quite a sensation internationally, having performed before a large audience in the recent Earth Day opening in New York City’s Grand Central Station, where she introduced herself and the Om Gaia album. Another reason for her to celebrate is the over 120 online radio stations playing her music around the world, a #4 spot on the World Radio Top 100 chart, and 3 songs retaining the #1 Top New Age songs with Indie Music charts for 12 weeks. The 3 songs holding that position are title song Om Gaia, Begin Again, and Eleyakeha’s Lullaby. Terri Liles Mason’s music is creating quite a sensation internationally, having performed before a large audience in the recent Earth Day opening in New York City’s Grand Central Station, where she introduced herself and the Om Gaia album to the world. Terri Liles Mason’s first album reflects her focus of expressing oneself in a positive manner to increase self image through music. The title song Om Gaia is a positive blend of mid tempo instrumental rhythms that are surrounded by Terri’s beautiful vocals, sung with an apparent soft and sensual touch. Mother earth is celebrated by inspiring thought filled lyrics, announced to all by her beautifully deep and rich blending of vocals, instilling thoughts of an ancient realm in our distant past that transforms into the present. Begin Again is an upbeat song with a pleasant mix of vocals, while Eleyakeha’s Lullaby is a slower paced celestial song featuring Terri’s soft vocals that seem to lull you into a contented frame of mind sure to please anyone. Looking toward the future, this New Age artist has achieved much in transforming her teaching skills and positive vibes into a vibrant musical journey that she has just offered the world. I expect we will hear more from Terri. Visit omgaiamusic.com and find Om Gaia at CDBaby, Amazon or iTunes. 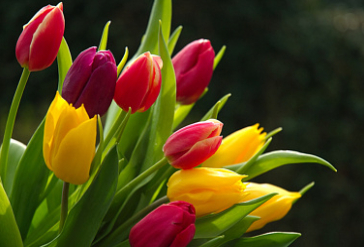 Picture Copyright Big Stock Photo – nsilcock. Note: Terri Liles Mason was nominated Best New Artist by the worldwide broadcasters of Zone Music Reporter, and Terri’s Om Gaia album received nomination for Best Relaxation/Meditation CD and Best Vocal CD at ZMR in 2009.